A new study shows we’re still suckers for canny packaging of cigarette brands, especially those claiming to be slightly less bad for us than the usual variety. A team of Australian researchers investigated the effects of plain packaging laws, publishing their findings yesterday in the Australian and New Zealand Journal of Public Health. Plain packaging and warnings on cigarettes seem like a useless precaution. Who doesn’t know that smoking is bad for people? They found that Aboriginal and Torres Island people certainly did know that smoking was bad. What plain packaging did was reduce was the perception that certain kinds of cigarettes were “less bad” for people. Packages depicting healthy icons with words like “slim” and “light” gave the impression that certain kinds of cigarettes were healthier. Some packages even used the same word as the NICO card: mild. There’s actually a long history of marketing efforts to lessen people’s anxiety over the adverse health effects of consumer products — and no more so than with cigarettes. In the 1960s, when it really started hitting home that smoking kills, companies adopted a popular marketing strategy that involved uranium. 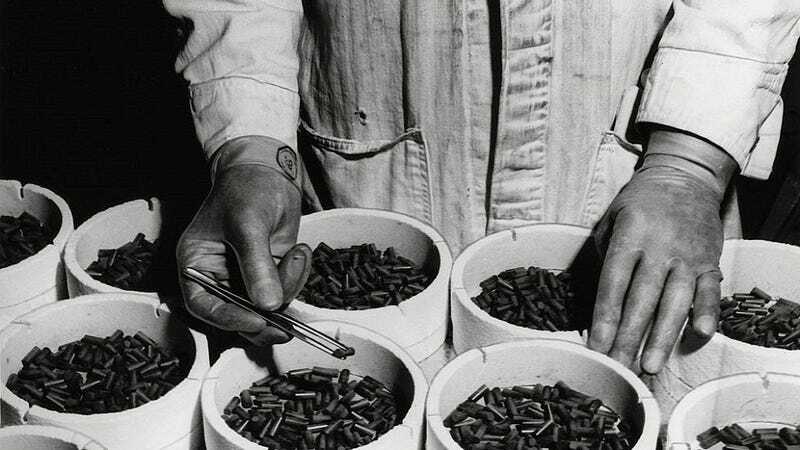 Radium skin cream and radioactive suppositories are well-known examples of historically bogus uses of radiation as a health tonic, but there are a number of bit players we don’t always hear about. One of them was the NICO Clean Tobacco Card. This card first appeared in Japan, and soon became a popular export, as Americans clamored for a way to keep on smoking without worrying about the health consequences. The card was small and blue and contained a shake or two of uranium. Smokers were to slip it into their packs of cigarettes, where the radiation from the uranium would somehow eliminate the poisons in the cigarettes. The packaging for the card claimed it was effective in “lowering tar and nicotine 17%,” that it allowed for “milder smoking with no sacrifice in taste,” and that it caused a 50% reduction in the “poisonous substance contained in tobacco smoke.” Needless to say, it did none of those things. While the card is a thing of the past, it’s still with us today in spirit. In health food stores and new agey places, it’s possible to purchase a metal medallion to attach to one’s cell phone to eliminate the harmful electromagnetic radiation given off by the phone. Everyone has been suckered in by healthy packaging at some point, or tried to pick the least harmful of a slate of bad options. Tailoring marketing materials to promote the perception of a “least bad option” has never stopped being lucrative.